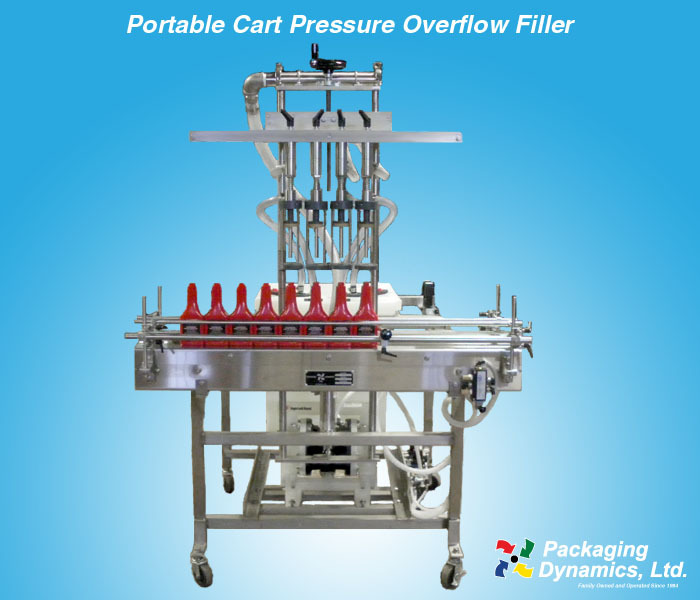 Portable Cart Pressure Overflow Filler - Packaging Dynamics, Ltd. Engineered for Portability & Convenience! The Packaging Dynamics, Ltd. 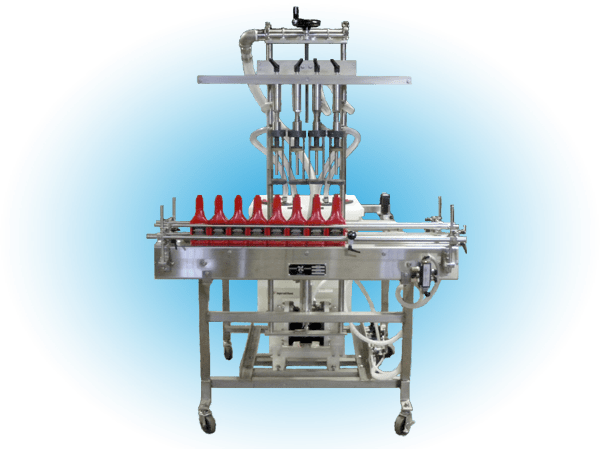 Bench Model SL-4P Liquid Filler is an economical table top fill-to-level system designed for small production runs. It has been engineered for ease of operation with quick change-over Features. Its non-electric pneumatic design can be used safely in hazardous locations!